The function of the Kershaw Pro Grade Curved Breaking Knife model 1280 is to allow the user to break down larger fish into manageable pieces. 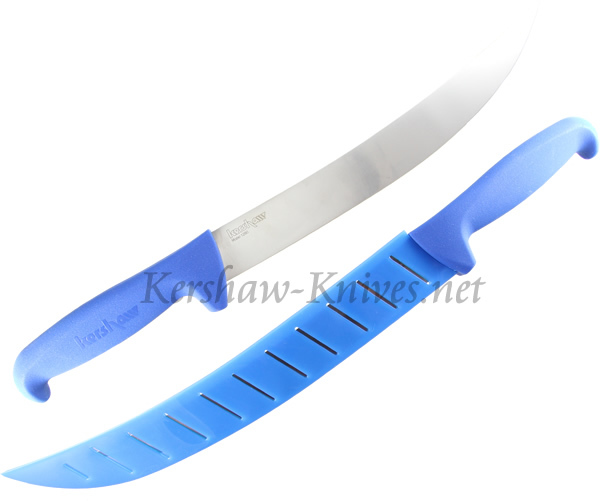 The curved 10 inch blade is constructed of strong, flexible 420J2 stainless steel. The polypropylene handle is 5.5 inches long with plenty of gripping room. Safe storage is provided with the blade protector.